You may be asking yourself: “Why should I even participate in a mathematics competition?” The answer to this question is rather simple. Mathematics competitions exist to help improve the skills you already possess, and they help you practice those skills on a different level than in a mathematics class! I hate to burst your bubble, but math competitions aren’t meant to be about winning. It’s true! But, of course, this is something you can strive for to motivate yourself to participate. Do not fret though… if you do not win or place in the top three, this shouldn’t discourage you from participating again and again! Each time you participate, you are improving and practicing. That improvement and practice is only going to help you hone your skill set. Everyone has different strengths, but challenging yourself is one of the best ways to learn where you need some improvement. Not to forget to mention, there is great strength in knowing your weaknesses. On that topic, don’t forget that today is the last day to register for our online math competition, MathCON! Sign up today and take the test right away (only $10 per individual or $150 for an entire school, using the code mathcon2018). 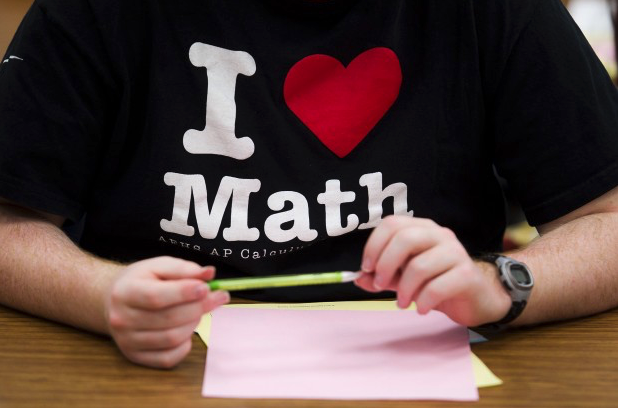 MathCON is open to any students in grades 5-12. By achieving a minimum score on our online test, you will be invited to finals on May 5, 2018, in Chicago, Illinois. The online test is only 45 questions designed to take in a timed 45 minutes section, at home or at your school. Since it is nearly World Maths Day (for students age 4-18 on March 7), we want to also take this opportunity to let you know about some of the other engaging and challenging math competitions and organizations (hey, we can take a little competition too!). MathCounts, which provides resources and challenges for all students. International Math Olympiads, grades 4-8 on July 3-14. Math Kangaroo, grades 1-12 on March 15. We look forward to seeing all of your names on our MathCON 2018 roster! Register Today!